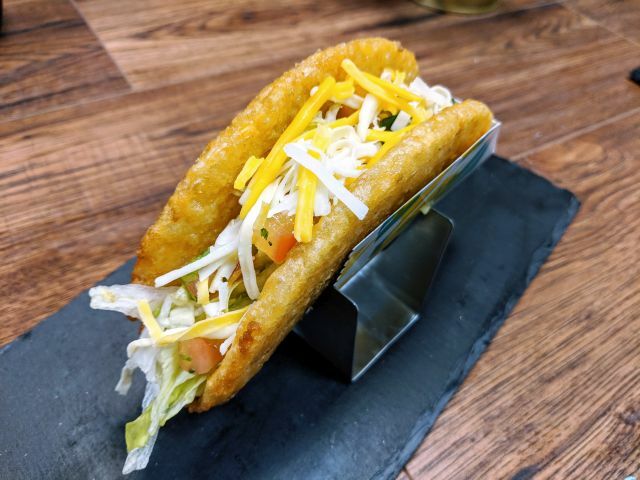 Cold Stone Creamery once again readies for the Discovery Channel's annual Shark Week with the return of their Shark Week-themed desserts. 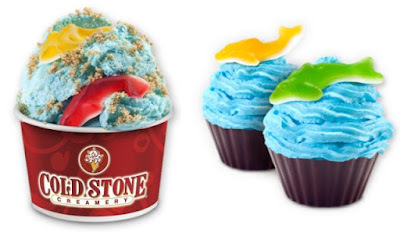 While Shark Week doesn't begin until Sunday, June 26, 2016, you can find both the Shark Frenzy Creation and The Great Blue Cupcake at Cold Stone now. The Shark Frenzy Creation features blue Sweet Cream ice cream mixed with graham cracker pie crust and gummy sharks. It looks like sharks swimming in the ocean. The Great Blue Cupcake is a chocolate cup filled with a layer of yellow cake and blue Sweet Cream ice cream topped with fluffy blue frosting and a gummy shark. Both shark-themed dessert are available for a limited time through July 5, 2016.